Call the church office for more information on any of these groups or to join (915-689-2626)! Oct. (last Saturday of the month, 12-3 PM) — Fall Harvest Festival and "Trunk-or-Treat"
Dec. (last week of Dec.) – Petal Pushing (decorating the Luther Hour Float in Pasadena for the Rose Parade)—Call office to participate! Every Christmas and Easter we have a special choir directed by Alex Camorata or Kedma Wenz. You can join us as we Sing unto the Lord a New Song! Practices are on Wednesdays during Advent (Dec.) and Lent (Feb. – April) after services (usually at 8 pm). 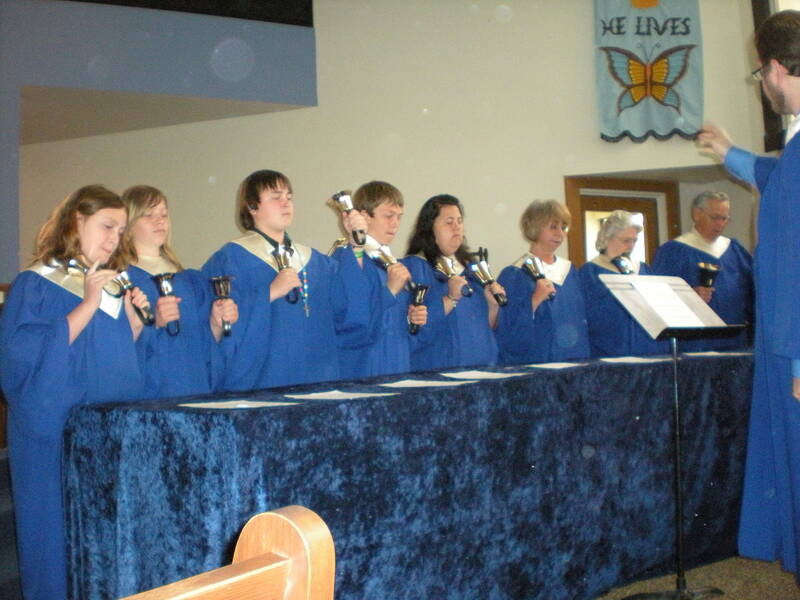 We also have a bell choir that plays each Christmas and Easter directed by Tim Noel. You can join us for the practices on Wednesdays before services during Advent (Dec.) and Lent (Feb. – April) each year (usually at 5 pm). On the second and fourth Wednesdays of each month, Faith's Social Ministries distributes food from our pantry to homeless and low-income people in the community. If you are in need of help, call the church office at 951-689-2626. Stephanie Michaud is the chairperson for Social Ministries. 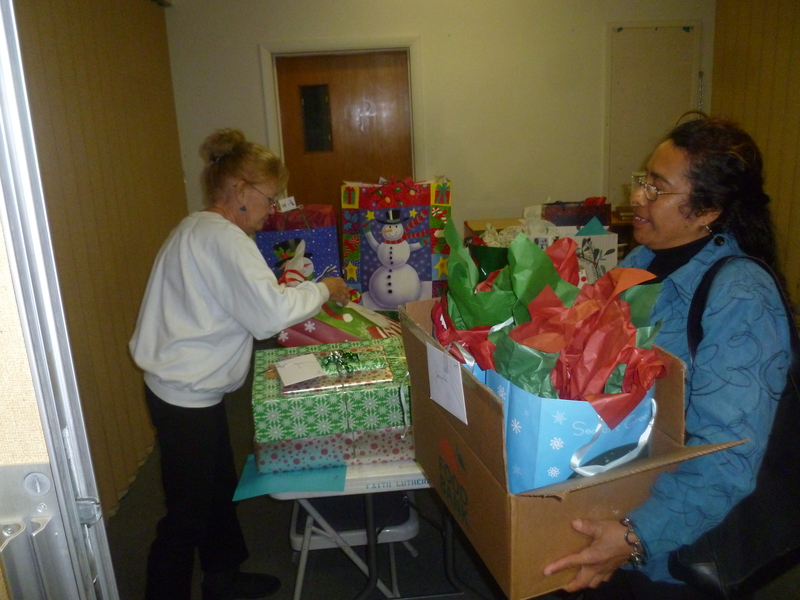 Also each Christmas, Faith's members buy gifts for the chldren of low income families in our own "Angel Tree" gift ministry. 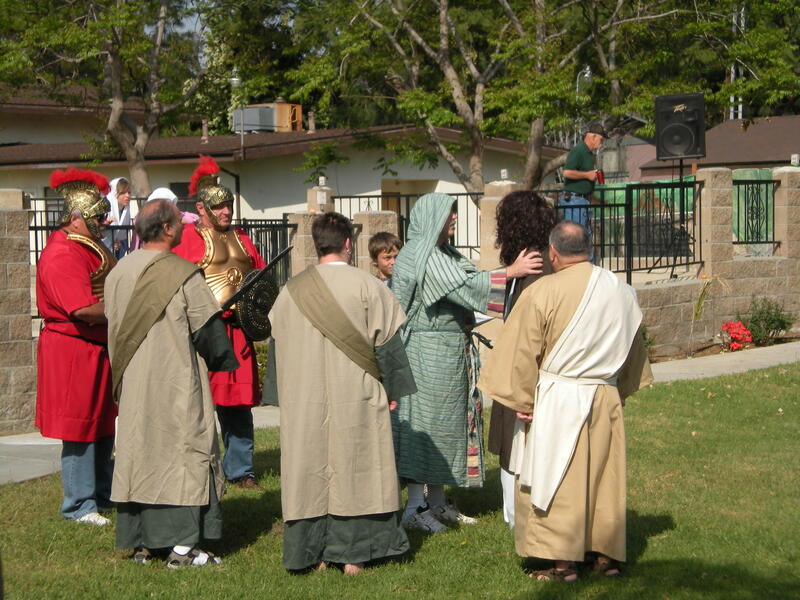 The Saturday before Easter each year, Faith puts on a Passion Play retracing the steps of Jesus from the Last Supper to the Resurrection. Join us for the play on Saturday morning starting at 9 AM, followed by fun, crafts, and egg hunts for children of all ages! This takes place in the Lamb's Court in front of the church. After the interactive play, children of all ages (and adults!) can join in crafts that remind us of the Promise of the Resurrection!